Let's meet up to talk about Agile: share knowledge, pains, wins, challenges and much more! Originally started in Rio de Janeiro (currently on 11th edition), the idea is that we build an Agile Community where we may find the knowledge and support needed to start the transformation and continue in the journey! 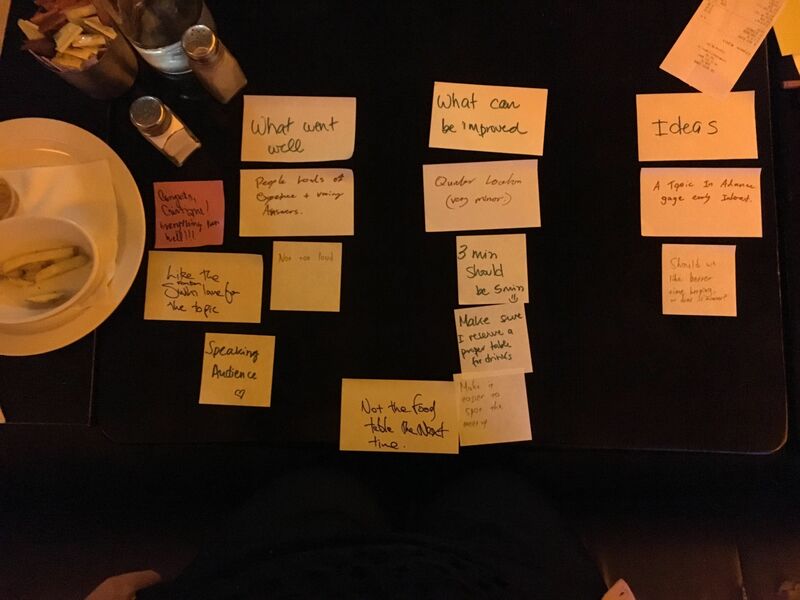 - As we start, post its move across the board: To Discuss --> Discussing --> Discussed. - Each topic gets 2 minutes to be discussed. At the end of these 2 minutes, the time keeper makes a signal (Hand Up, for example). When this happens, the table decides if they want to continue on the topic, and if so, we get another 2 minutes for it. If not, the topic moves to 'Discussed' and the next one is pulled into the conversation. All 'levels' welcome! :) If you know nothing about Agile, it's a great place to get started. Come along! If you are interested in Agile, want to talk about, share your experiences, pains or want to learn about it, come join us! Are you organizing Lean Guinness (or anything you'd like to drink!) :)? Are you an organizer of Lean Guinness (or anything you'd like to drink!) :) ? Why We need to Build a Design Centric Culture in Ireland ?